Crested Butte South residents are getting a new addition to the wastewater treatment system as part of a planned expansion that will bring the subdivision into compliance with state regulations. With the heavy runoff adding to the wastewater generated by normal use, the current facility is not large enough to process the amount of wastewater that is produced under capacity limits defined by the state. “State requirements say that at 80 percent of your design capacity you need to be engineering and by 90 percent of capacity you have to be in construction,” says Jack Dietrich, Crested Butte South Metropolitan District manager. “We were less than 80 percent but with the high groundwater this year and the runoff, hydraulically we’re over capacity. [Wednesday, May 21] I think we were at 115 percent of capacity,” he says. In the last couple of weeks, Crested Butte South’s wastewater treatment facility has seen more water than at any time in its history, according to Dietrich, but it has never been at risk of becoming overwhelmed, since the clear water from runoff is easy to treat. In addition to the runoff, there are 533 housing units that are now connected to the district’s wastewater system. That number is expected to peak at 1,200 to 1,400 units at buildout. “We’re at about 44 percent of total build-out in Crested Butte South if we get to 1,200 [units],” and the new expanded system should be able to handle that, says Dietrich. Currently, the system can treat 100,000 gallons of wastewater and after the expansion is completed, capacity will increase to as much as 225,000 gallons, which will require the construction of a second building at the facility that will be about one-third the size of the existing building. The expansion is in the process of being engineered by JVA Engineering of Boulder, which has a civil engineering division that specializes in municipal wastewater systems. They took on the project in November of 2007. “Preliminary design will be done in June. This design stage will have enough detail to determine the proposed process and basic building footprint and architecture. Final design will be completed at the end of this summer,” says Kevin Tone, lead engineer for the project. According to Dietrich, the costs of the expansion are higher than originally thought, with a final tab of around $2.1 million estimated in the engineering proposal, up from the original estimate of $1.8 million. Crested Butte South property owners will have to pay an additional $9 for water and $9 for sewer per month to pay for the expansion, no matter how much they put in or take from the system. As part of the project, there will be an expanded flow equalization tank that will slow the velocity of water coming into the treatment facility by holding it until it can begin the treatment process, which will also have increased capacity. Treating the wastewater at the Crested Butte South facility involves a system called activated sludge, where microorganisms, namely bacteria, fungi and others, convert the waste into energy for growth and put out water and carbon dioxide as byproducts. Combining this method with a fixed film, for collection, will minimize the required tank capacity, says Tone. “This [system] will therefore reduce the footprint and minimize wetland impacts of the expansion. This project will also upgrade the aeration blowers and several process control features, and include an electrical service upgrade,” says Tone. Luckily for the neighbors, another part of the expansion will include an odor control system that is still in the planning process, but should be similar to the one used by the town of Crested Butte, known as a biofilter. 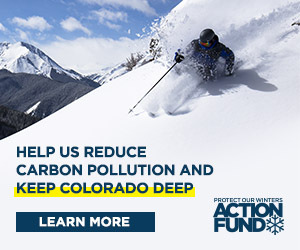 The Board of County Commissioners will look at the expansion application, which has been approved by the county’s environmental health specialist Richard Stenson, possibly at their meeting on Tuesday, June 2 and, if it is approved, it will then be sent to the Colorado Department of Public Health and Environment for final approval. According to Stenson, the plan can take a long time to be approved at the state level, but that is the final hurdle before construction can begin.